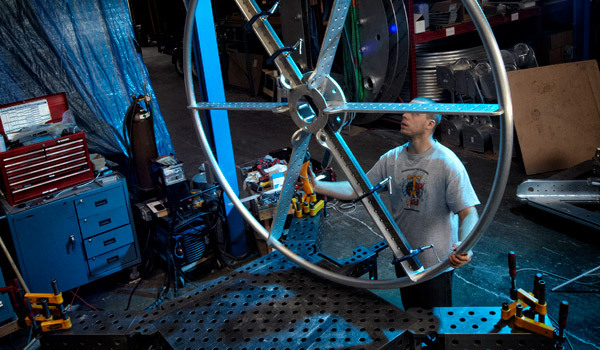 In 2012, Randolph and Baldwin was asked to work with Woods Hole Oceanographic Institution in the development of specialized equipment for the Ocean Observatories Initiative. This activity expanded our staff, productions, and facilities, realizing a new division of Randolph and Baldwin designated as Ocean Systems. 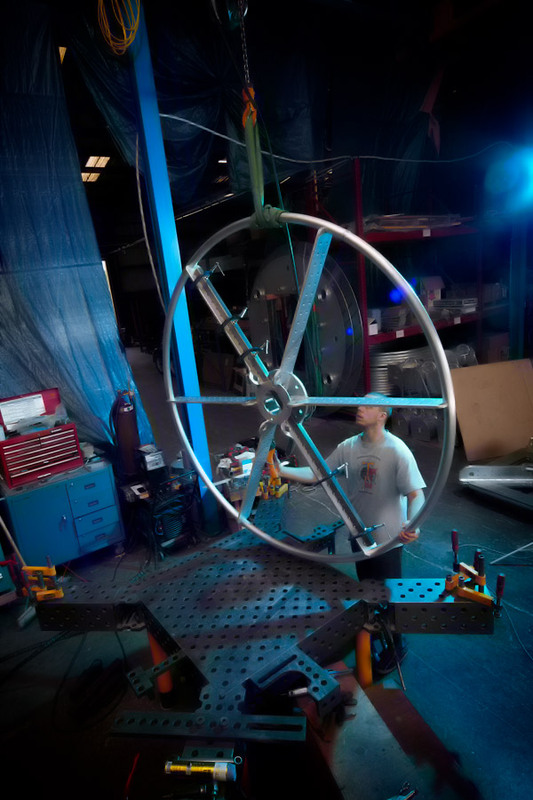 The National Science Foundation’s Ocean Observatories Initiative (OOI) will lay the foundation for future ocean science observations and enable powerful new research capabilities by transitioning the oceanographic community from expedition-based data gathering to persistent, controllable observations using a suite of interconnected sensors. Ocean Systems worked with the Woods Hole Oceanographic Institution, one of the primary implementing organizations, in the design and construction of several buoys and frames. Ocean Systems has recently begun offering the refurbishment of oceangoing equipment; from powder coat removal and re-coating to weld repairs. For more information about the Randolph and Baldwin Ocean Services Division, please contact us. 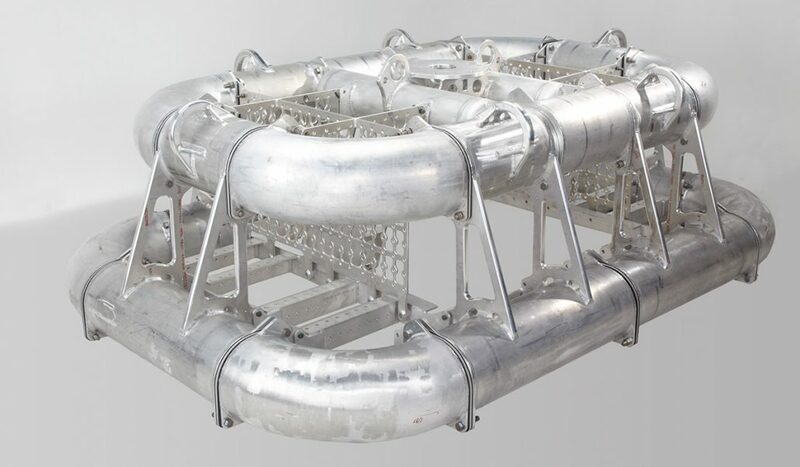 Ocean Systems entered into a partnership with Woods Hole Oceanographic Institution to fabricate these structures on an accelerated time schedule. We were presented rough prints and worked with our customer to modify the assemblies for both design improvement and production manufacturability. These improvements made the buoys more structurally sound and increased the watertight integrity of the units. 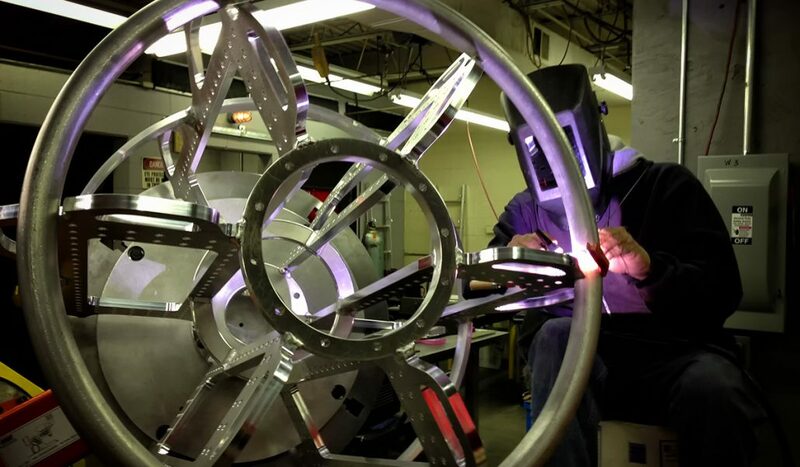 Ocean Systems’ design improvements led to cost savings and made the frame more structurally sound by machining from solid billets, thus reducing the number of welds. Contact us today about our Ocean Systems Division.